As if we needed a sure sign, the cool weather and rainy Labor Day weekend has announced loud and clear that Summer 2011 is over. Before football season really cranks up and before we invest in tons of pumpkin-spice flavored treats, I want to take a quick moment and review the movie season that was. Looking back, I think we can confirm that the thematic through-line of the summer’s movies was nostalgia… whether in remakes (Rise of the Planet of the Apes), period pieces, (Super 8, Captain America), revisionist histories (Transformers: Dark of the Moon, X-Men: First Class) or backwards-gazing spiritual ruminations (Midnight in Paris, Tree of Life), it seemed that the past was on Hollywood’s mind. The industry’s stubborn attempt at indoctrinating the public with the importance of 3D was stronger than ever, and it does seem like the public is responding. I, myself, am still leery towards 98% of 3D experiences. I will admit that 3D seems to have brought Michael Bay closer to being the revolutionary visualist he has the potential of becoming, but a billion extra dimensions will never fix an inability to read tone or cut fat. My most pleasant technological discovery this summer was the long-derided digital IMAX experience. Call it Diet IMAX. Call it IMAX, Jr. Call it LIE-MAX. There’s no denying that this is not the enormous, domed cinematic experience that has been sold to us for decades, but -regardless of the bad branding- seeing a film in digital IMAX is worth the up-charge and makes the experience special. My wife and I didn’t get to make it to many comedies this summer, and we happened to skip all of the animated features. One “achievement” we did nail was checking out all of the summer’s superhero movies, and I’m proud to say that both of us can champion Captain America: The First Avenger as the summer’s best superhero movie. Much of that is probably because the movie does not play out in the standard superhero sub-genre template, but works more as a character-based adventure film. Overall, I don’t think any of the comic book adaptations will hold up as well as a Dark Knight or a Spider-Man 2, but we’ll see how X-Men: First Class and Captain America -both crowd favorites- fare on repeat viewings. For some chatter about the summer’s box office performance, check out this article. 1.) Super 8 – Live music with dinner, followed by coffee with friends, topped off by a midnight screening in digital IMAX. Loud, vibrant, and very fun. 2.) Midnight in Paris – I surprised Danielle with a picnic after work. Wine, sandwiches, and a great screening. 3.) Transformers: Dark of the Moon – The eye-popping visuals and kinetic energy of this movie’s final act, rendered in IMAX 3D – with no loss in exposure, color, or clarity – more than makes up for its annoying eccentricities and fatty “character” moments. So, that’s it. The ice cream’s melted, the pool is covered, and those short shorts are wholly inappropriate. 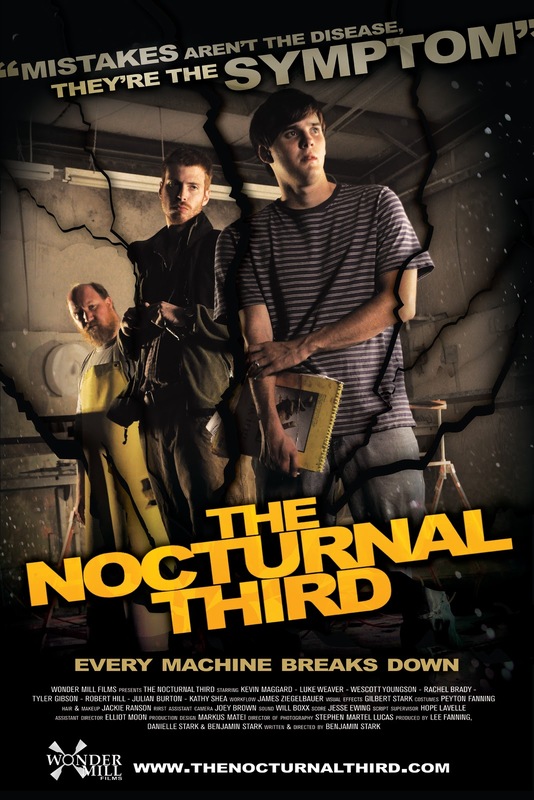 I’d be remiss if I didn’t mention that our newest movie, The Nocturnal Third, is premiering locally and online this Friday, September 9th, despite missing its chance to be a Summer movie… as well as its promised Spring release date.